Kendall Howard 1U Cable Routing BlankThe Kendall Howard series of Cable Routing Blanks is an excellent solution for your cable routing needs. These devices help to route cables from patch panels, routers, switches, and virtually any component that requires front mounted cables. 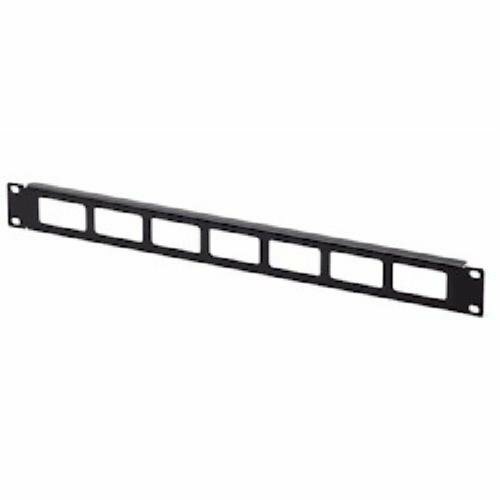 Simply placing a Cable Routing Blank adjacent to your component allows you to route your cabling to the back of your racking system, conveniently and effortlessly. This simple component will take many of the problems of tangled and crimped cabling away.Our Cable Routing Blanks are constructed from heavy 14-gauge steel. All corners feature radius corners for optimum safety and handling.